May 19, 2018 at Kansas Star Arena ! 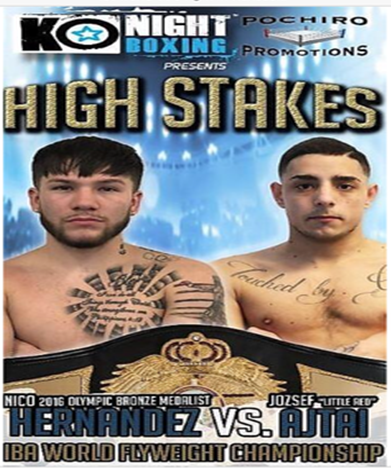 MULVANE, Kansas (March 28, 2018) – USA Olympian and current IBA Americas flyweight champion, Nico Hernandez (4-0, 3 KOs), will take on Hungarian flyweight titlist Jozsef “Little Red” Ajtai (21-9, 13 KOs) on Saturday, May 19 , for the vacant International Boxing Association (IBA) World Flyweight Championship. 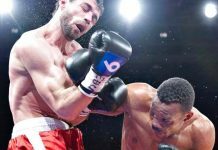 The 12-round Hernandez vs Ajtai main event will mark the first world title fight in Kansas boxing history, headlining the KO Night Boxing:High Stakes event, at Kansas Star Arena. Pre-sale tickets go on sale Thursday, March 29 at 10 a.m. CT at Ticketmaster, Lucky Star Players Club at Kansas Star Casino, or call 1-800-745-3000 (pre-sale code is HIGHSTAKES). General public tickets go on sale Friday, Mar. 30 at 10 a.m. CT .
Prices are $120.00 (VIP), $80.00, $50.00 and $30.00 (prices do not include service fees). This is an all-ages show. Doors open at 6:00 p.m. CT with the opening bout scheduled at 7:00 p.m. CT .
Additional details about the remainder of the “KO Night Boxing: High Stakes” card, including event broadcast details, will soon be announced. 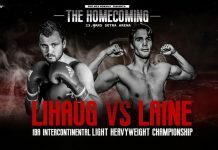 This is a tremendous opportunity for both Nico and Jozsef, said John Andersen, promoter of KO Night Boxing. 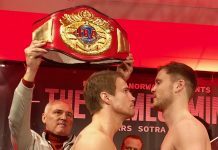 The IBA has made great strides with world champions like light heavyweight Sergey Kovalev. Hernandez versus Ajtai is a match up that will certainly further elevate the winner’s career. I can also let fans know that this May 19 th card will have other title belt matches with world-ranking implications that will truly make this event a ‘High Stakes’ show. Fight fans will not want to miss this historic fight. We’d also like to thank Kansas Star for making this happen. 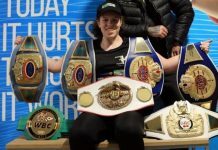 We’re honored to be involved in an event of this nature, IBA president J.C. Courregescommented, featuring a U.S. Olympian and an outstanding European boxer. 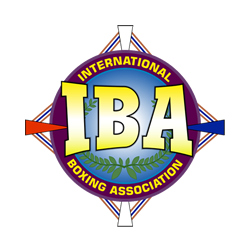 We’re thrilled the IBA will be the first World Championship contested in Kansas boxing history. 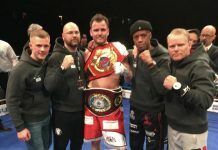 The long, prestigious list of IBA world champions during the past quarter-centory includes Hall-of-Famers Oscar de la Hoya, George Foreman, Roberto Duran and Arturo Gatti, as well as stars such as Roy Jones, Jr., Bernard Hopkins, Shane Mosely, James Toney, Mikkel Kessler, Eric Morales, Diego Corrales, Jose Luis Castillo, Glen Johnson and Antonio Tarver.